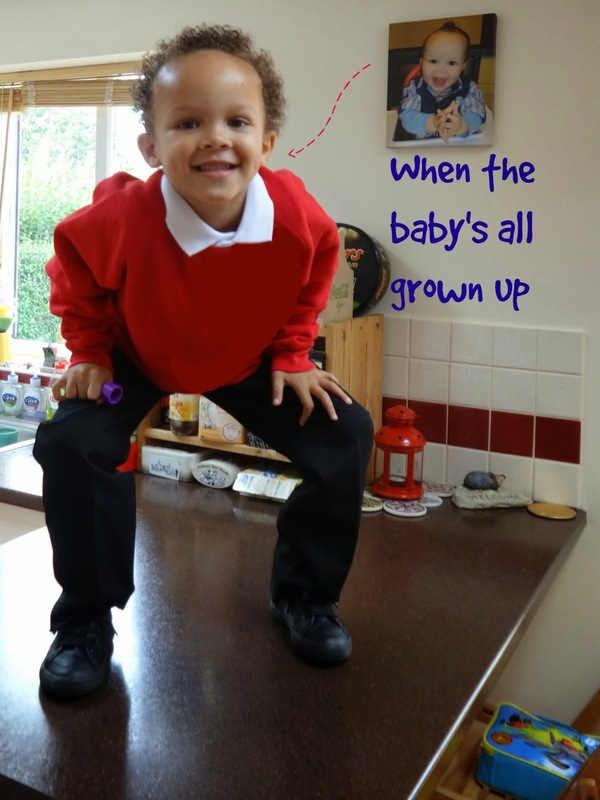 New Mum Online: Starting Reception - What I Knew, What I Didn't. Learn from Me? Starting Reception - What I Knew, What I Didn't. Learn from Me? The days and weeks are going fast, so I want to document the start of Aaron's school life while I can still remember it all. Don't underestimate how draining it is. Your precious bundle of joy, who's grown up in the blink of an eye, is now off to school. Pace yourself and expect to need some early nights. That's both of you. We didn't go to any of these, but for anyone starting reception September 2015, you need to find out when your favourite schools are hosting these visits/tours. These start happening NOW anytime between now and January so get in quick. Just looking at Ofsted Reports is NOT the way to choose a school. You really need to view the school (inside) to get a feel for the facilities, the vibe, the layout, the happy (or not) vibe coming from the children AND the teachers/staff. Are they responsive and enthusiastic when you make enquiries? We found out about open days way too late, but I don't want the same to be true of you. Our deadline for applications for 2014 was January 15th. The application is easiest done online. There is a booklet to support the process - if nobody has given you a copy you can get a PDF online (depending on your local authority). Don't always believe what your friends say, as your experience may be different. Your local authority may ask you to apply for 5 schools, theirs may only expect 3 options; 1st 2nd and 3rd choice. Also, your authority may expect 3 forms of ID (birth cert, proof of council tax, etc...) and theirs may not ask for anything. If you are asked for proof of address it means you can only apply for schools based on your current, not your future address. Deadline for parents and carers to accept the school places offered. So May/June is the time when you will apply if you did not get any of your chosen schools, which with the current high numbers of children versus places is a possibility you NEED to consider. As a new mum, you may do what I did and base your choices purely on Ofsted and location. Once you get talking to other mums and viewing schools you will realise that this is not the only thing to consider. Also, a school that had a good Ofsted 24 months ago, may be on the way down now, as something may have changed (Great Head Teacher has left for example) OR a school with a bad Ofsted may be on the way up now, and may have better facilities than its neighbouring school. Also, consider the needs of your child, and where they can be best met. 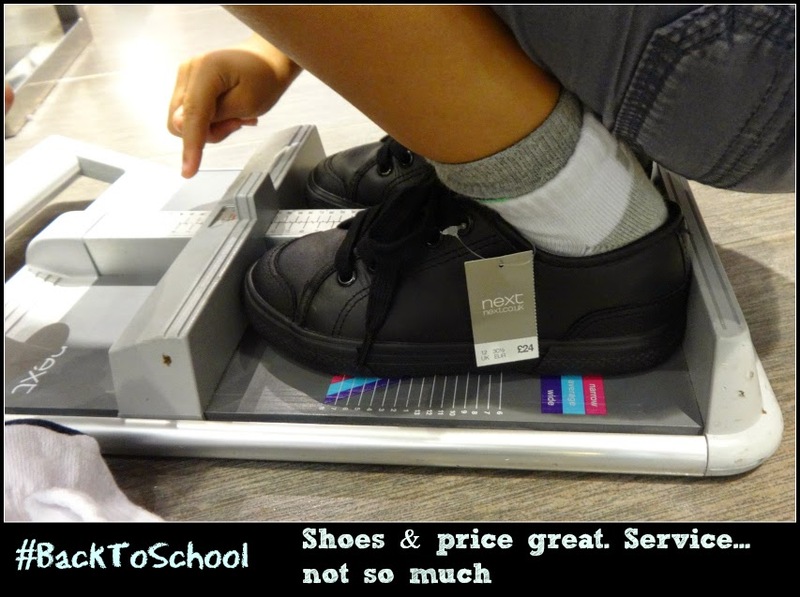 If they are very outdoorsie, do you want them in a school that has next to NO outdoor space? Maybe that school with the big green field is more attractive than you thought. If your child is a sensitive soul, who's very close to his Mummy, the OUTSTANDING school that has strict teachers that aren't very "loving" might see you running for the hills despite your excitement at getting s/he in. You might have only wanted Catholic schools, and may even have got your child baptised, and dragged them to mass every Sunday, only to find the Catholic schools aren't necessarily for you, for one reason or another. (Yes, this did happen to me, can you tell?). Go into the process with an open mind. Your gut instinct will give you little nudges, hints and messages, IF you let it. You'll also, if you're anything like me, have chance encounters, that will guide you through. To steer the ship in murky waters. Some schools have such HIGH demand, that they limit their intake to just the surrounding roads, and to siblings of children already in the school. They could take in 30 children, but 20 of those could be siblings, meaning the remaining 10 are from literally the neighbouring roads. So when the school says "are you within walking distance?" and you say "yes" you may be meaning a 30 minute walk and they might mean 3!!! I went to Church every week for nearly 3 years every Sunday, till I realised that I was NOWHERE near, near enough to that school to get in. I am still spiritual and always have been - I pray every day, but that doesn't have to mean mass on Sunday and nor does it mean he needs to go to a Catholic school. Luckily he is now at a Christian one though. So look at your favourite school's numbers for last (this) year. How many got in? How many were declined? Similarly if you are thinking of moving, to a town, just so you can get into a certain school, find out how NEAR you need to be, to have any hope of getting in. Worth it before you start all that conveyancing and experience any disappointment. Disappointment when it comes to school decisions tends to amount to heart ache! It is also worth finding out what the school's Summer Uniform is, as September can often be warm. I didn't even think about this, but if I had, Aaron would definitely 100% be in short trousers, like some of the boys in his class. Don't panic about hair cuts. I LOVE Aaron's curls, and did not want to part with them (yet) so at the open evening, after our school place was allocated, I asked if he has to have short hair. Luckily the answer was no. Don't get me wrong, it's above his collar but he has a good head of curls on him. I trimmed him up myself for day 1, so that all the dead ends were gone, and so that I could get a comb through it every day. Oiling it daily with Coconut Oil gives it a wet look, which I think is really smart with his curls, and saves him having the bed head look. If you live near school, for the love of God don't use the car. School for us is a 25 minute walk and I'd hate to think how far it would be with Aaron's little legs. So we both cycle, and you know what, we whizz passed all of the cars stuck in traffic. Congestion that you cause if you needlessly bring the car. I am so happy in our area to see so many people walking and so many kids on scooters. You may have to factor in costs that you didn't think to budget for. Like for us, I had to get a bike lock. I bought it after he started school, so those first few days the bikes were there on a wing and a prayer. I have got a LONG one, so that it threads through both of our bikes. I want my bike safe while I am walking him round to the rear of the building. Then I unhook it and cycle home, leaving his chained up. We will have future costs when the evenings and mornings get dark, as neither of us have red or white lights on our bikes. See above (Cost and The Journey). Cycling also means we will need to get front and rear lights, which we are yet to do as the mornings and evenings are still bright and we are getting FABULOUS weather last week and this week (touch wood). It is also dictating what I wear every day. In this glorious weather I would love to wear long maxi dresses but they would get caught in the chain of the bike. We will also need High Vis stuff when the Winter months come. Cycling also means there is none of that eating toast in the car nonsense, and we get a lovely breeze going through our hair ensuring we are bright and bushy when we get to those school gates. 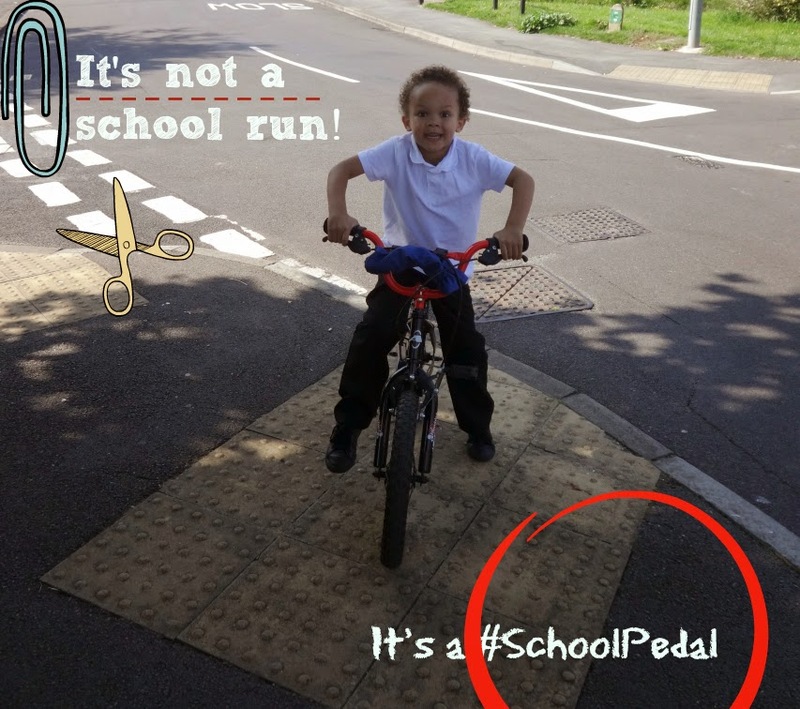 For us it is not a "school run" so I have started a hashtag on Twitter and Instagram called #SchoolPedal. If you cycle to school like us, join in. I would LOVE to share experiences and tips. Make sure you factor in how this will effect you both if you are not normally early starters. For us we have to have a long slow breakfast, to make it as close to his normal routine as possible. We spent the last 6 months getting up at 10:30, so it's been a huge change for us. But now he is asleep anything between 20:30 and 21:30 and up at 07:10. The 20:30 night he got up VERY easily but the 21:30 days (the last 2 nights) he has been slightly tired in the morning. Only very slightly. It hits him worse in the afternoon, when I have seen the return of the tantrums. Seeing the tantrums he had yesterday, I think for full days, from next week, he will really 100% need to be asleep by 20:30. As he likes to read a lot of stories, I think he'll need to be IN bed by 19:30, so I am rather thankful the evenings are drawing in, because he is often heard saying "I will go to bed when it gets dark". Wow, never thought I'd hear me ever say that I'd be glad the evenings are getting shorter. I am normally very sad about the first signs of Autumn (and yes I HAVE already seen conkers and leaves on the ground *sniff* despite the amazing weather we have had this school fortnight). The early starts have even been tiring me out so the last 2 nights I have actually gone to bed with him, even though I normally go to sleep at 3 a.m. It has made me very effective in the morning though. Your friends on Facebook may be saying come July that their child is having 1 or more settling in days at school. Our school did NONE of these. BUT equally, those schools then sometimes start full days immediately come September, whereas ours has done two weeks of half days. He started on Wednesday 3rd September, and those 3 days were only 13:30 to 15:15. Yes I only had time for a cup of tea and back there again. Then this full week he is doing 08:45 to 11:45, which gives me a little longer. So it is only next week, week commencing Monday 15th September, when he starts full days 08:45 to 15:15. It is only then that he will have lunch at school. In case you don't know, at this age school dinners are now free for everyone. That's only something that started in 2014. I am going to wait and see if he likes them before I even think about changing him across to packed lunches. They handed us all a fortnight's menu yesterday and the food sounds fabulous. There are now something called School Food Standards, so the schools are really strict about nutrition now. I think Jamie Oliver shamed them all into making some changes and to be fair they HAVE done. You have to get into the habit of leaving the uniform, hung up and ready the night before. Some nights I have not done so and it has really shot me in the foot come morning. Also, Tuesday morning trying to find his shoes delayed us by 4 precious minutes, likewise with trying to do his hair yesterday (as I decided to keep his curls, so it is work come morning making them NOT look like bed-head)! There are already two ladies I love to chat to, and this Tuesday Aaron and I, and one of them and her 2 children (the boy being in Aaron's class) headed off to the park after school. It turned out to be a mistake, as although WE (adults) get on really well, Aaron was useless at sharing. He'd got up earlier than normal (last week was afternoons) and they don't yet have lunch at school, so he was tired AND hungry which always makes him the devil incarnate. I HOPE we haven't both lost potential friends over it. I will add more to this post, and photos as I think of it, but for now I am going to make a bowl of porridge as I have to leave in an hour to pick him up, and I don't want to spend all of my precious morning free time on here. I hated the first few weeks when my girls were just in for half a day.....Full days are such a shock to little ones though. My youngest had just turned 4 and a couple of days when she started and ended up having a power nap when she got home. Oh he is thank you. Next week he starts full days, so let's see what that brings. You have written such a concise post with so much wonderful and useful advise. You are emigrating, as in going to France for good? Oh no, I had no idea. Well best of luck. I bet there will be a great quality of life over there. Some tips may still be transferable/relevant. Great post and very good points about Ofsted. Our old school was rated outstanding but it was like a results led factory. Our new school has just gone from satisfactory to good but it is a million times better. My kids are doing so well in their new environment and my youngest will join them in reception next year. Good post, they grown up way too fast. This is a really well timed post for me. My son is only just three and I had absolutely no idea I needed to be looking at schools now until I had a conversation this morning. I am off to do some googling now! The infant and primary schools round where I live don't have open days. I love that you cycle to school. Our roads are too busy (with other parents!) and also has a big hill to contend with. Thankfully we can walk through the back paths. What a fantastic post! Really comprehensive, with loads of useful information. My friend had a similar experience to you - getting her son baptised etc, then realising that the Catholic school wasn't for them. Must have been frustrating! Brilliant post! It really is a stressful time but with your post it would make everything so much easier! great tips... makes me even more glad though that my three don't have to go to school!! As a teacher, I would also like to add that ofsted provide hoops to be jumped through. It is not the be all and end all. I think some schools have a natural feel of 'family' and caring, others can be more clinical. Great tips! Wow what a brilliant list - this will be so useful to new school parents...it's hard working out everything in the first few weeks / months!! WOW! That is a bundle of information, and truly great information! Thank you so much for sharing this! Great tips. I really need to look at open days right now! Sigh, I called one of the schools near us as the application process is open and they said they didn't know when they would have an open day. This did not fill me with great hope, it's not like it's a knew thing they've never had before! !